Running a limited company can require a large amount of administration so it’s likely you will need a good contractor accountant to manage this work on your behalf, in order to save yourself time and money. Not only will your accountancy give you peace of mind that your business’s tax affairs are in proper order, but they can also advise on legislation affecting your limited company. Please see our list of contractor accountants below. Specialist accountants, providing services to contractors and self-employed individuals for 10 years. Expert advice with great online software. Real-time visibility of your finances and unlimited support from dedicated accountants. Everything you need from an accountant and more. Only £79.50pm. A rare breed of fixed fee for life accountants who took home the 2017 runners-up prize in Contractor UK’s Readers Awards for Best Contractor Accountant Small/Medium. Forged from molten originality and dipped in uniqueness with over 18 years’ experience in breaking the mould as specialist contractor accountants. Join the Crew revolution! One point of contact and there to answer questions in a flash! Best value for a personal service, no tie in periods and a package tailored to you...don’t make "aard" work of it. All for £69 plus VAT per month. We are specialist contractor accountants established in 1995 really going the extra mile for our clients. We come to you for an initial face to face tax planning meeting, free company incorporation and business insurance package included. As three time CUK award-winning Contractor Accounting specialists, our service gives you your own dedicated Personal Accountant, unlimited IR35 advice and reviews, 24/7 access to your accounts via our online portal, and contractor-specific financial services. All for just £105+VAT per month. 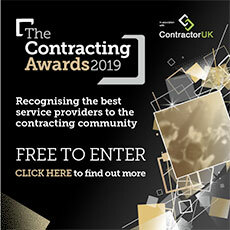 UK's largest Accountants for Contractors - Winners of Contractor UK's 'Best Contractor Accountants' for the last nine years, FREE face-to-face meetings in any UK city, your own dedicated accountant plus one of the lowest fixed fee accountancy packages available. Proactive specialist contractor accountants, responsive service which can be tailored to your individual requirements. Freeagent included in the £95 + vat per month package along with free transition to our umbrella company if required. We also provide you with not just one but two dedicated accountants to ensure continuity of service. Winners of the CUK Forum Adviser of the Year for 2016 & 2017. Specialist accounting from industry experts. Our complete service for a fixed fee of £95+VAT per month. Unrivalled IR35 expertise alongside our recommended accounting solution. T: 0116 243 7868. We provide a fully comprehensive accounting and taxation package to Contractors. We are one of the fastest growing accountancy practices in the UK with a reputation for providing outstanding tax planning to maximise take-home pay. Established 2002, ICS are FCSA-accredited contractor accountancy specialists, ensuring you’re operating compliantly whilst maximising your take home pay. Our personal accountants are here to give jargon-free advice and solutions that suit you and your business!